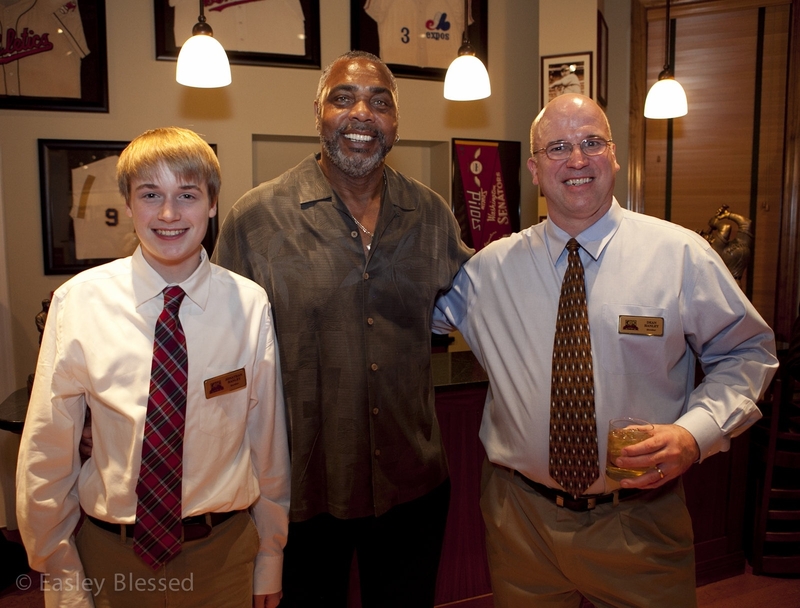 Last Thursday, Dean had the honor of hosting former Cincinnati Reds OF Dave Parker at the Green Diamond Gallery's most recent social event. 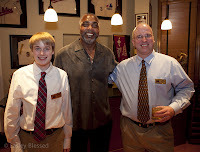 Dean was happy to introduce one of his favorite former players and talked at length about his two pieces of Dave Parker memorabilia. 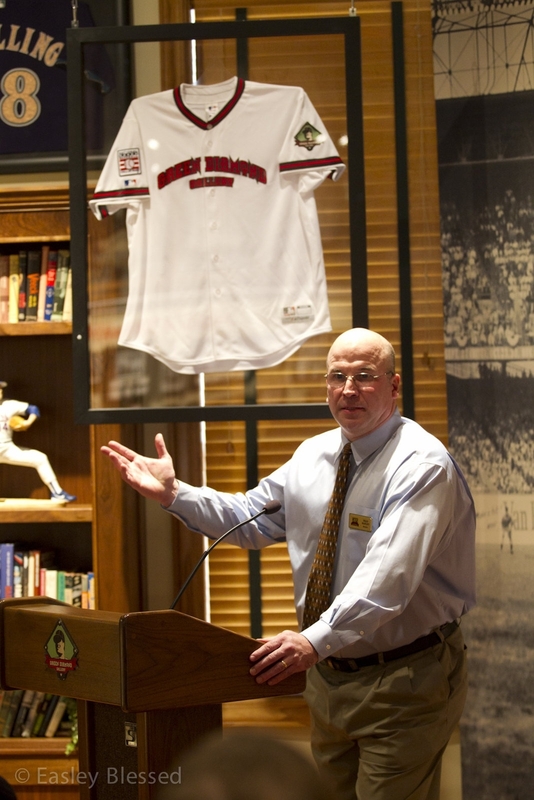 The first is a bat used by Parker in his 1973 season with the Salem Pirates, during which he won the Carolina League Batting Champion. 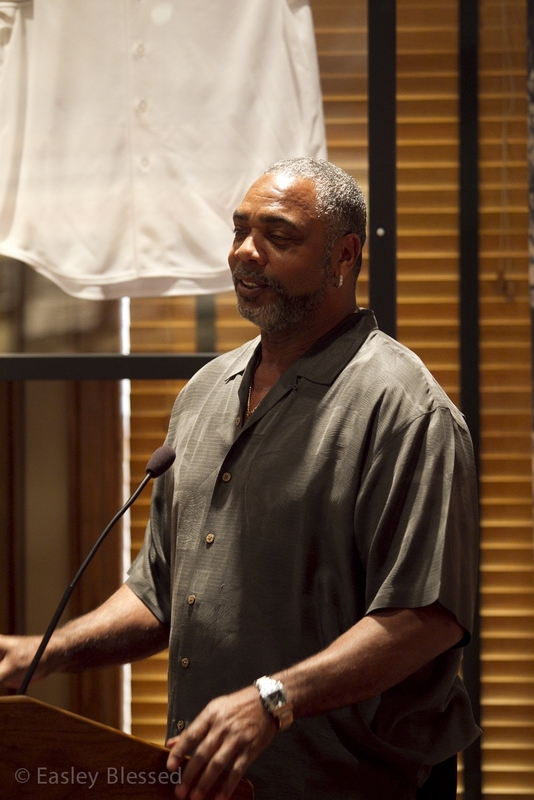 Dean also talked about hanging his Dave Parker growth chart, which went all the way to Parker's height of 6'6", in his college apartment. We have included pictures from the event that show both Dean and Dave speaking at the event, as well as Dean, Dave, and Dean's son Jonathan.